Stories written by Clay McLeod Chapman. 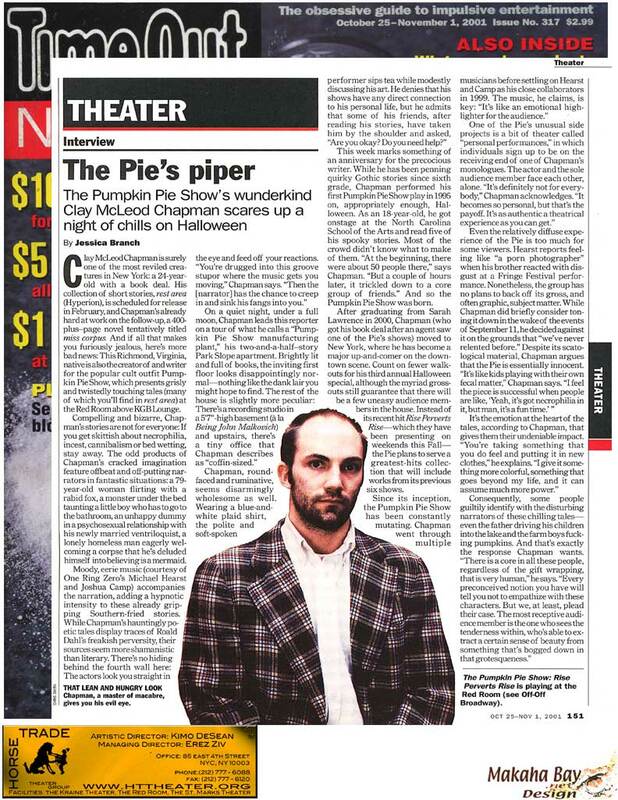 Celebrating its second decade of performances, the Pumpkin Pie Show is a literary fist in the face. 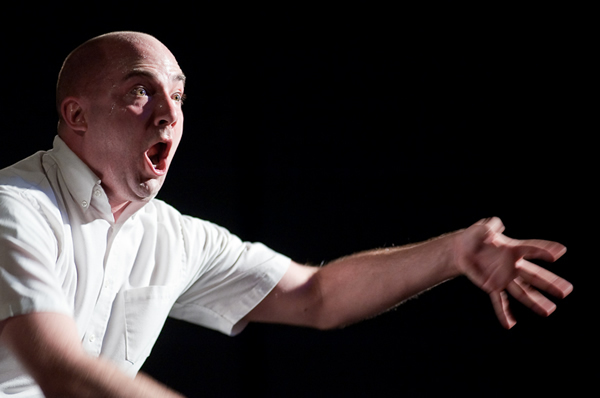 Part storytelling session, part boxing match, part shamanistic ritual, the Pumpkin Pie Show has established itself as an all-points artistic hodgepodge of theatre and literature. We pick and choose the essentials of both mediums, channeling their rocking properties in order to create a more intimate relationship between performer and audience. We want to see the whites of our audience’s eyes. Certain basic rules that we’ve set up for all our shows are: No sets. No costumes. No nothing beyond the text and the performance itself. Our goal is to strip away those elements that we find extraneous to the tale being told, conjuring up an atmosphere of “creating something out of nothing,” as well as focusing on that ethereal connective tissue between the one telling the story and our audience. Packed with enough emotional intensity to feel like a rock concert rather than just spinning a yarn, the Pumpkin Pie Show is pure bedtime stories for adults.